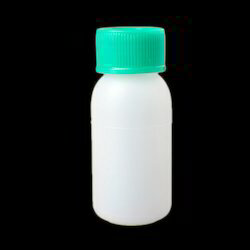 Leading Manufacturer of dry syrup hdpe bottles from Hyderabad. Keeping in mind the diverse requirements of the clients, we offer our clients an extensive range of HDPE Plastic Jars that are highly durable in nature and are performance oriented. Our products are light in weight and are used to safely store the food eatables. These products maintain the hygienic standards and are easy to clean. Our entire product range is quality tested on varied parameters thereby delivering world-class range of products to our clients. Looking for Dry Syrup HDPE Bottles ?